Looking to jump-start sluggish weight loss or kick-start your fitness journey? Sure, you can mindlessly hop from one machine to the next and pack your diet full of protein, but in order to ensure optimal results, it's best to ensure your weight-loss strategy is sound. What better way to build a successful plan than to learn from a pro? Fitness and bikini model Lais DeLeon knows how to burn fat effectively—and keep it off. Her favorite weight-loss tips will help you get lean, maintain desirable muscle, and feel great doing it. Implement some or all of these tips into your current routine to rev things up and move towards your goal physique! Fueling your body first thing in the morning is important if you want to jump-start your metabolic engine every day. Because you've essentially been fasting overnight, a powerful morning shake will also help replenish your energy and repair your muscles. "I'm one of those girls who needs her caffeine fix first thing in the morning, but the thought of a hot cup of coffee and a huge breakfast doesn't always sound appealing during warm-weather months," says DeLeon. At those times, DeLeon turns to her high-protein, healthy chocolate mocha. It's a shake she says is more balanced than what many people traditionally eat for breakfast. Not to mention, it's loaded with slow-burning carbohydrates and caffeine to fuel your body all day long. For those on-the-go early risers, it comes with an added benefit: It only has a few ingredients, so it's easy to make. "I blend 1/3 cup cold-brew coffee concentrate, 2/3 cup unsweetened almond or coconut milk, 2-3 ice cubes, 1/3 cup dry oats, and two scoops of NLA for Her Chocolate Eclair whey protein," DeLeon says. "Sometimes I'll add in a tablespoon of peanut butter, chia seeds, or flaxseeds for healthy fats." After you've blended all the ingredients, bottle up your shake and get ready to own your day! One of the best ways to ramp up slow weight loss is to slash your sugar intake. Sugar is detrimental when trying to lean down; it spikes blood glucose levels, which then quickly spike insulin levels and encourage fat storage. "Try having no refined sugars for 30 days," suggests DeLeon. "Instead, stick to natural sugar from fruits. A serving of berries will give you plenty of antioxidants and nutrients while satisfying that craving for something sweet." DeLeon also suggests you ditch sodas and other artificially sweetened drinks. "Switch to fruit-infused water for flavor instead of sweet drinks," she advises. Or grab some unsweetened green tea. "Green tea has extra fat-burning benefits that will help you see even better results," DeLeon says. One sneaky trick DeLeon swears by is adding a little cayenne pepper to her meals. "It gives me an extra fat-burning kick," she says. Research supports this practice. 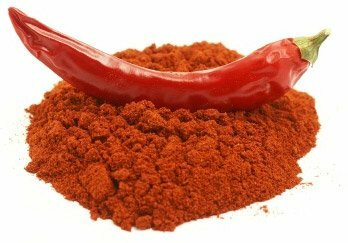 Cayenne pepper contains a compound called capsaicin, which may temporarily elevate your metabolic rate for a few hours after eating it. If you've ever noticed you feel warmer after eating a spicy meal prepared with cayenne or chili pepper, then you know how powerful turning up the heat can be. For some people, gluten and dairy are problematic foods that may hinder their weight-loss results. Temporarily eliminating or cutting back on these foods could be just what you need to kick fat to the curb. "I saw a huge difference in my midsection when I cut both gluten and dairy," explains DeLeon. "It's not for everyone, and I'm not claiming that all dairy and gluten-containing foods are 'bad,' but sometimes just making a change like this can help you break through a plateau." For a couple of weeks, try cutting out foods you suspect might be hampering your success. If they cause issues when you reintroduce them down the line, it could be an indicator that they shouldn't be a part of your regular meal plan. "I love and swear by juicing vegetables!" exclaims DeLeon. "It helps you get more servings of nutrient-rich vegetables in your diet every day." DeLeon also notes that juicing does wonders for her skin and nails. Her favorite recipe: blended kale, spinach, celery, cucumber, lemon, cayenne, and ginger. For added sweetness, she adds half a green apple or some berries. Try this green shake on a day when getting enough through whole food feels like a challenge. It will fill you up with nutrient-rich foods and keep you on track to your fat-loss goals! When it comes to fat-burning cardio, high-intensity interval training (HIIT) is tough to beat. By alternating periods of high-intensity cardio such as sprinting, with periods of lower-intensity cardio like walking, you can burn more calories overall in less time because of a powerful after-burn effect known as excess post-exercise oxygen consumption, or EPOC. Luckily, you don't have to sprint on the treadmill or only train indoors to shed weight. "Take your workout outside and get some fresh air," suggests DeLeon. "An added boost of sunlight does wonders for my mood and motivation." As DeLeon explains, when you're happy and motivated, you'll be far more likely to stay on track with your fitness program and see the results you're striving for. "A quick HIIT workout is a great way to switch things up from a boring winter routine at the gym," she says. "Plus, HIIT workouts are quick. You'll get just enough natural sunlight to meet your daily dose of vitamin D."
If you want to try a beginner's HIIT workout, sprint all-out for 10 seconds, walk for 50 seconds, and repeat for a total of 10-15 minutes. You can sprint on the street, grass, or track—or, for a real challenge, head to the hills for uphill sprints. To keep yourself interested when performing steady-state cardio, DeLeon suggests swimming laps or going for a bike ride with a friend. Whatever you can do to keep yourself interested in fitness will ultimately help you succeed. Need a cold treat on a hot day? Don't turn to calorie- and sugar-laden ice cream. DeLeon's favorite creation is her NLA for Her Amino Berry Lemonade Popsicles. "Mix two cups of water with 3-4 scoops of NLA for Her Aminos," says DeLeon. "Then, fill ice-pop molds with your amino mix, and add some freshly cut strawberries and blueberries!" This treat contains hardly any calories, so it's a much smarter alternative to the high-sugar Popsicles or ice cream bars you might be tempted to choose. Plus, the added amino acids help aid in quick post-workout recovery. Another way to crank up the fat-burning dial is to minimize the amount of time you rest between sets. "Use an interval timer or your phone's timer to ensure you are only taking the minimum rest," DeLeon says. "This will ramp up your intensity and help you burn extra calories both during and after every workout." Aim for 30 seconds of rest between sets. This will keep your overall training intensity high while enabling you to maintain strength and proper form on subsequent exercises. "Make a huge salad and aim to have a serving before each meal, finishing the whole salad by the end of the day," she suggests. "This helps you get in extra vegetables and fills you up with plenty of nutrients and vitamins so you aren't as hungry while you're trying to lean out." DeLeon likes to get creative and add as much variety to her salads as possible. She often changes them up. "I do a Greek salad with cucumbers, olives, and tomatoes over a spring mix, as well as a summer salad with romaine lettuce, strawberries, blueberries, and almonds," she says. "I'll also do an Italian salad to mix it up using arugula, roasted bell pepper, red onion, and sun-dried tomatoes." Have any weight-loss tips, favorite workouts, or special recipes of your own? Feel free to share in the comments below! Get fired up and lose weight—the healthy way!